Curiosity and a commitment to improving lives. These are the values that guide the world-class research centers, laboratories and institutes of the UW-Madison School of Pharmacy—where students and scholars are rising to the challenges of a rapidly changing world with cutting-edge multidisciplinary research. And where our discoveries, faculty and insights are changing the conversation in almost every area of pharmaceutical, social, clinical, technological and biomedical inquiry. As they have for the last 130 years. From developing new drugs, and pioneering new delivery methods to innovating patient care and shaping public policy to create a healthier, more equitable world: this is where breakthrough bench science and the values that define the Wisconsin Idea come together. Fighting disease with the creation of new and more effective medications and delivery systems, Drug Discovery & Development researchers combine medicinal chemistry, pharmaceutical biochemistry, biotechnology, pharmacology, toxicology and more to prevent and treat the world’s most complex illnesses. Collaborations with the School of Pharmacy’s Analytical Instrumentation Center, Zeeh Pharmaceutical Experiment Station, and the Medicinal Chemistry Center provide a truly first-rate interdisciplinary research environment. Moving knowledge and discovery gained from the basic sciences to applications in clinical and community settings, and ultimately patient care, is the framework for Clinical and Translational research. From “bench-to-bedside” and “bedside-to-community,” researchers harness critical insights that can be integrated with everyday practice resulting in tangible improvements to human health. Practice Advancement & Education researchers are finding new ways to achieve healthy outcomes from drug therapies, increase drug safety and effectiveness, and maximize the benefits of medications for their patients. Experiential educational techniques and collaborative projects with the Office of Global Health and Institute for Clinical and Translational Research provide an engaging environment for students and professionals to gain applicable skills while raising the standard of patient care. Where patients, medicines, caregivers and healthcare systems meet, you’ll find Pharmaceutical Outcomes & Policy researchers. Investigating the human element of pharmacy practice, science and policy in close collaboration with the Sonderegger Research Center and American Institute of the History of Pharmacy, students and scholars integrate issues of economics, history, sociology, psychology, epidemiology, law, communications, ethics and more to improve public policy and uncover new knowledge. 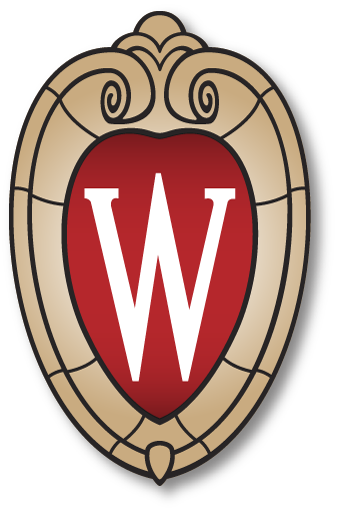 Flanked by the UW School of Medicine and Public Health, the School of Veterinary Medicine and the renowned human development researchers of the Waisman Center, our cutting-edge pharmaceutical research facilities are an incubator for collaborative biomedical research and innovation. From collaborative and industry-sponsored research projects to student internship programs and corporate giving, there are a number of ways to support the groundbreaking work accomplished in School of Pharmacy laboratories and institutes. The School of Pharmacy is comprised of four divisions that encompass research, education, practice, and outreach. The important and diverse research of our distinguished faculty is supported through the school’s renowned centers and institutes, as well as access to a wide range of additional facilities on campus.